Shaquille O'Neal is bringing 12 suits for four days of NBA All-Star weekend coverage. The entire NBA universe descends on New York this weekend, as the 2015 All-Star Game and all its festivities arrive in the Big Apple. That includes TNT's "Inside the NBA" crew of Charles Barkley, Kenny Smith, Ernie Johnson and the ever-lovable Shaquille O'Neal. Shaq knows this weekend is a big deal, so he's going to be dressing in style -- with more than enough backup. He told USA Today he's bringing 12 suits to cover the four days, and he's even got a whole formula behind it. "You have to bring four suits, and then you have to bring four more and then you have to bring four more just in case," he said. "So you got bring 12 suits for four days. And you have to bring a lot of tickets to give out to a lot of fans. We just have fun." Don’t try this at home, folks. 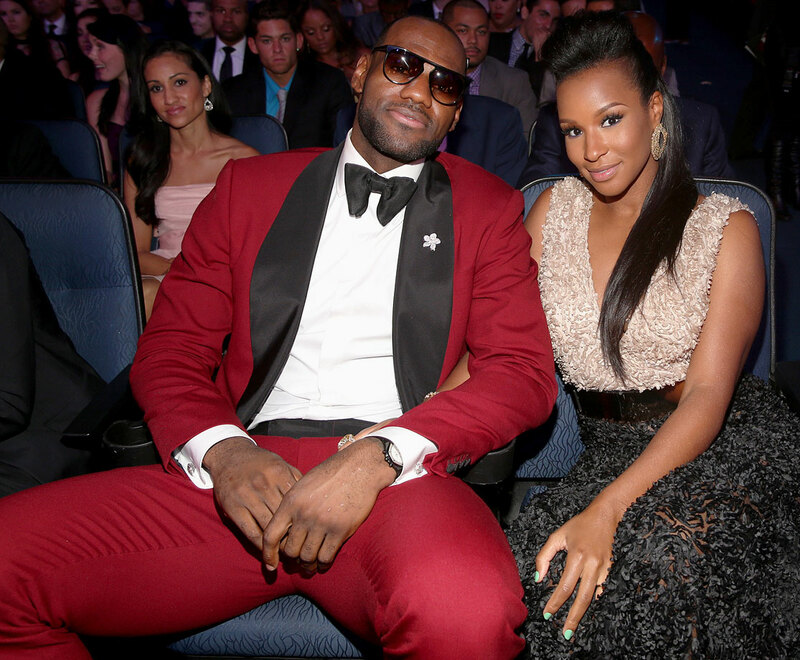 You have to be as cool as LeBron to pull off a burgundy suit and sunglasses inside. We’re heading into fall, but Maria Sharapova looks ready for spring in a lilac J. Mendel dress. You might wonder whether Victor Cruz gets hot under all those layers, but remember this: he’s hot even without them. It’s always so nice to see hockey players wear something that isn’t covered in their own blood. 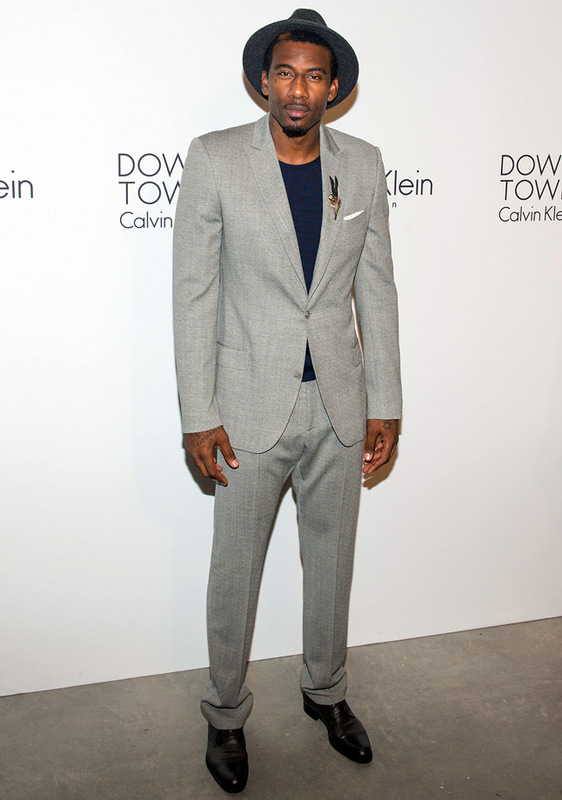 The fact that this suit is so perfectly-tailored to Henrik Lundqvist is just an added bonus. Cold-weather athletes don’t get the chance to show off a lot of skin. Fortunately for Linsey Vonn, Mercedes Benz Fashion Week gave her the opportunity to step out of snowpants and into a fringey miniskirt. In this outfit, Roger Federer will certainly be the most dapper tennis player at Wimbledon, although it would be a real shame to get grass stains on those crisp white pants. SI Swimsuit model Irina Shayk is one of the most beautiful and well-dressed people on Earth, but her boyfriend Cristiano Ronaldo is certainly giving her a run for her money. It’s hard to call a two-tone purple and pink dress subtle, but Venus Williams’ understated accessories ensure that the outfit doesn’t shine brighter than the woman wearing it. Matt Kemp recently teamed up with SI Swimsuit model Chanel Iman for a Gap ad campaign, and it’s easy to see why. In that suit, we’re buying whatever he’s selling. You know that a man is well dressed when the woman on his arm is Giselle and you’re still looking at his incredible blue blazer. WNBA star Skylar Diggins might be wearing neutral tones, but there’s nothing neutral about the statement she’s making in a high-necked dress with bold jewelry. After launching his own line of designer glasses earlier this summer, we can only hope that NBA fashion icon Russell Westrbook will create a whole line. 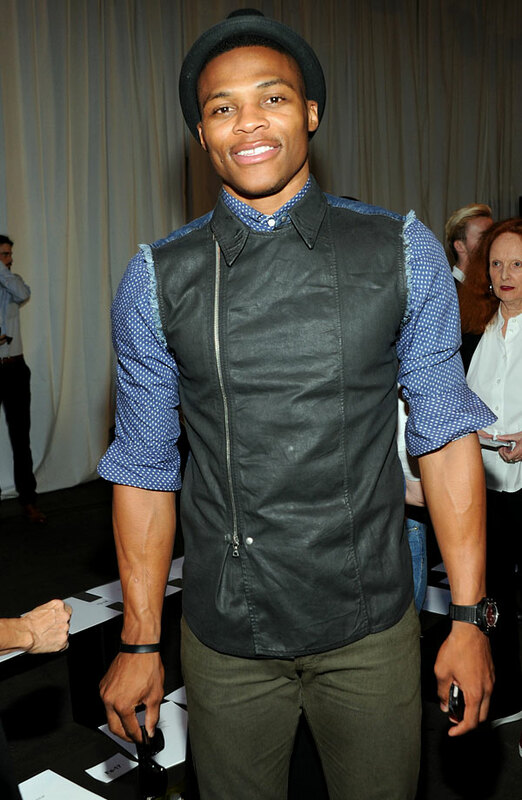 Of course, when you look like Russell Westbrook, you look good in pretty much anything. 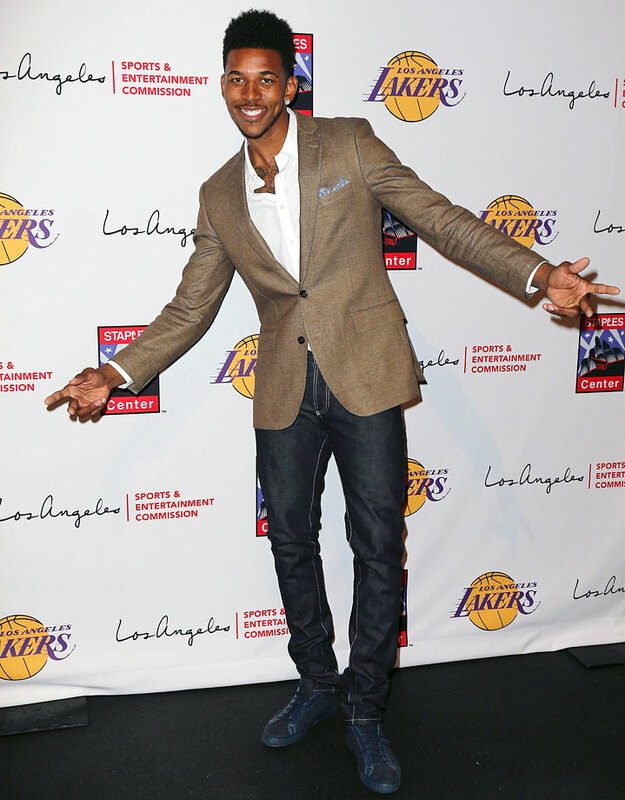 Nick Young is making a strong case for the return of pocket-squares into everyday life in this effortlessly-cool ensemble. Temperatures inside a NASCAR cockpit can reach over 120 degrees, but in this white asymmetrical dress, Danica Patrick looks just as hot off the track. 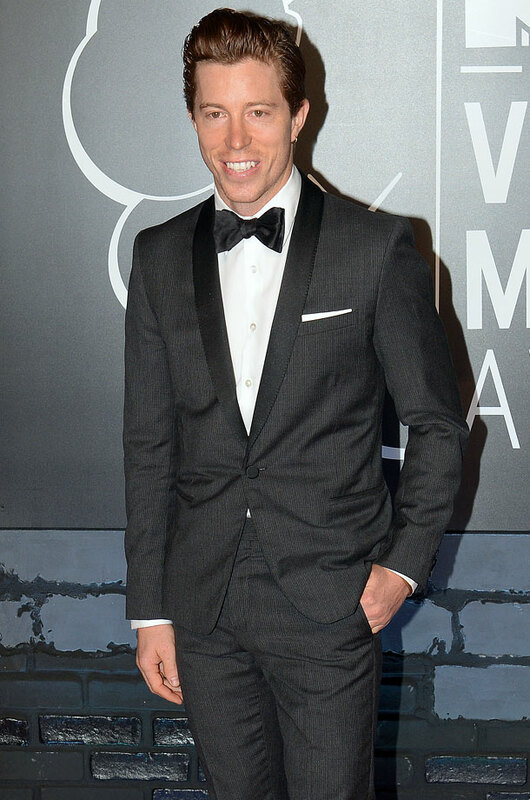 Shaun White’s boys clothing line for Target doesn’t include anything as gorgeous as this subtly-patterned suit. Then again, when you’re designing for kids who spend recess rolling in the dirt, maybe that’s for the best. 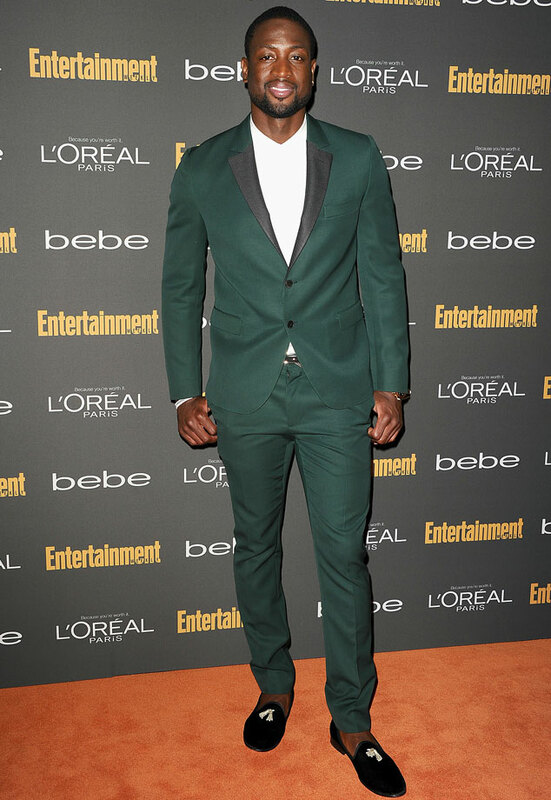 As if Dwyane Wade isn’t wearing your grandpa’s loafers – he paired his cool kicks with a statement green suit for an unforgettable look. Alex Morgan is proof that even the biggest names in sports can rely on the Little Black Dress to make a big statement. So many men try and fail to pull of fedoras every year. Thank goodness we’ve got Amar'e Stoudemire to show us how it’s done. This has been a big year for the crop top. Lolo Jones balances out her exposed midriff with a long skirt for a fun, elegant look. Men of the world: please take a page from Arian Foster’s book and embrace accessories. Arian Foster is using accessories here to spice up his sweater and khakis. The logic behind Shaq's "four plus four plus four" routine may be slightly flawed, but he certainly isn't wrong in thinking that the TNT guys will need extra clothing options this weekend. Because the league has produced content to cover four full days in New York, the entire country will be intimately familiar with TNT's quartet of on-air personalities. And while Barkley undoubtedly receives the most attention on a nightly basis, trying to keep count of how many suits Shaq has worn during the four days could be entertainment for the whole family.